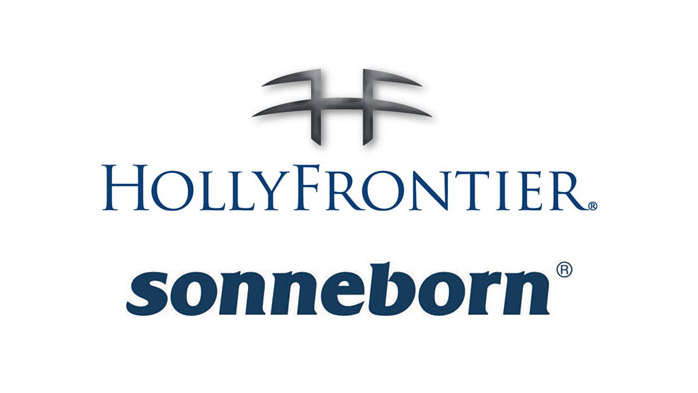 HollyFrontier Corporation announced that its subsidiaries have completed the previously announced acquisition of Sonneborn US Holdings Inc. and Sonneborn Coӧperatief U.A. for USD655 million, including working capital with an estimated value of USD72 million. HollyFrontier anticipates the acquisition will be immediately accretive to HollyFrontier’s earnings per share, cash flow, and EBITDA margins. For more than 100 years, Sonneborn has been setting global industry standards by offering specialty products as one of the world’s largest dedicated suppliers of white oils, petrolatums, and waxes. Many of the largest personal care, cosmetic, pharmaceutical and food processing companies use Sonneborn’s products. With manufacturing facilities in North America and Europe, Sonneborn is a leading specialty hydrocarbon producer that offers a global reach combined with expertise and depth of experience. With the addition of Sonneborn, HollyFrontier, itself, becomes a leading global supplier of specialty products. Sonneborn’s strong brand recognition and diversified portfolio of products complement HollyFrontier’s existing business. This acquisition advances HollyFrontier’s downward integration strategy into specialty products and significantly grows the Rack Forward business segment. Sonneborn strengthens HollyFrontier’s global footprint by increasing processing and blending capabilities in North America and Europe and expanding the global sales organization and distribution network. HollyFrontier plans to review Sonneborn’s manufacturing capabilities and upgrade and expand where appropriate, having already identified a low-capital, high return project to expand the sulfonation line at the European facility as a likely opportunity. HollyFrontier Corporation, headquartered in Dallas, Texas, is an independent petroleum refiner and marketer that produces high-value light products such as gasoline, diesel fuel, jet fuel and other specialty products. HollyFrontier owns and operates refineries located in Kansas, Oklahoma, New Mexico, Wyoming, and Utah and markets its refined products principally in the Southwest U.S., the Rocky Mountains extending into the Pacific Northwest and in other neighboring Plains states. In addition, HollyFrontier produces base oils and other specialized lubricants in the U.S., Canada and Netherlands, and exports products to more than 80 countries. HollyFrontier also owns a 57% limited partner interest and a non-economic general partner interest in Holly Energy Partners, L.P., a master limited partnership that provides petroleum product and crude oil transportation, terminalling, storage and throughput services to the petroleum industry, including HollyFrontier.